Valkyrius is a 2D shoot-'em-up ("shmup") for Windows from indie studio Iridescent Games. 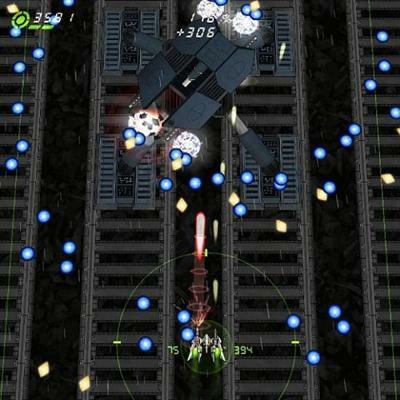 It features six stages of frenetic bullet hell action, huge bosses, and an innovative and intuitive warping mechanic. Five difficulty levels make it accessible to the casual and hard-core alike, and local 2p co-op (at least one gamepad required for co-op mode) lets a friend join in on the action. Unlock medals, modes, artwork, soundtracks, and modules which give your fighter special abilities. Local and online high score tables are available for each mode & difficulty.